It has always fascinated me how from a story that is apparently normal, the writers can create a total new world full of adventures. I firmly believe it is a gift, because if these books are addressed to the most demanding readers, the children, the writers must be one hundred percent careful. They won’t go easy on them. 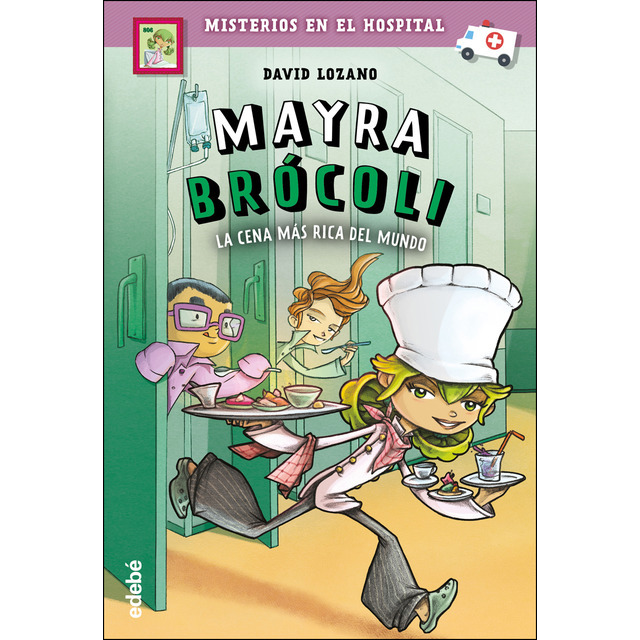 That’s why it’s a challenge for any author who attempts to write for an age group he doesn’t usually address to, as David Lozano has done with EL LADRÓN DE MINUTOS (the thief of minutes), which has already printed its 5th edition and has a total of 5 translations, and now with a new character, Mayra Brócoli, which I think it’s so lovely. She’s smart, curious and she’s always making up stories to surprise her colleagues. A strange illness forces her to stay in the hospital, but soon she will find out, together with their friends of the Bacon Squad, that this Universe of corridors, rooms and basements hides an incredible secret. Mayra is a character I would have loved to read when I was younger in order to identify myself with that smiling girl, full of ideas; a girl who dares to do everything despite the fact that the circumstances are not the best. Being a child has many positive things, and one of them is that you can see the world without prejudices. That’s why things always seem so clear, as it happens with Marya: a little rebellious, with a strong character, full of crazy ideas so that life can always be fun. Edebé has done a wonderful job again and David is not going to leave us with only one Mayra story, so kids from 8+ years old, don’t hesitate to order this book! I’m sure you will love it, and the parents will love it more, because they’ll enjoy the reading and they will learn that the adventure of their life can happen at any time. There are little things that happen to you and you don’t know why but they remain in your memory forever: a memory stored in your heart, rather than in your mind. The melted chocolate that my grandmother used to prepare Sunday mornings for my grandfather, and also for us if we had spent the night there, is a ritual I can’t forget: how she cut the chocolate in the kitchen, that black and intense chocolate bar. Then, she melted it in a red pot until the chocolate was thick enough and, with a big smile, she served the chocolate with some bread and butter. This was the perfect breakfast, and sometimes I feel the need to do it again so I can smell the Sundays in my grandparent’s home sharing bread and chocolate with love. The kitchen, the chocolate, the bakery… It is a whole new world, and this week, I’d like to talk about a novel that has all the ingredients to become a best-seller. 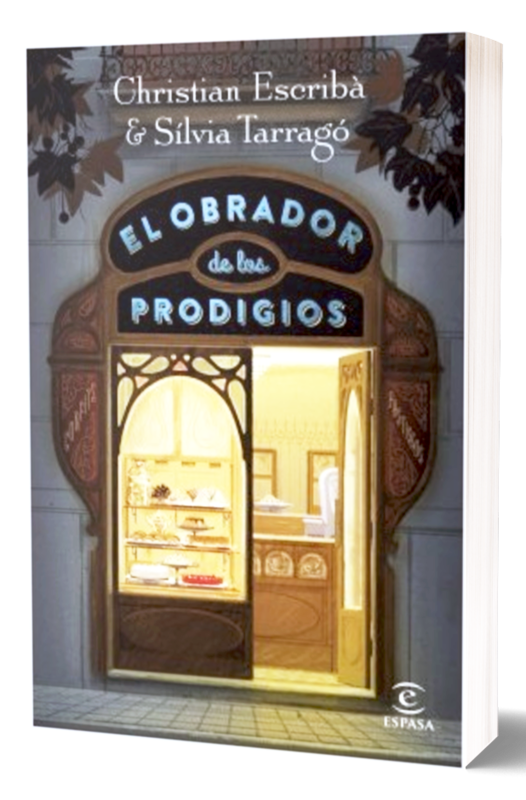 El Obrador de los prodigios (the miracles’ workshop) tells the creation and evolution of the popular Escribà patisserie. At the same time, we will meet Alba, who will be the exceptional witness of a period of changes and consolidation. Two stories that merge in the wonderful world of the pastry making. The story begins with Mateu Serra, a boy from Lleida who decides to leave his village to go to Barcelona, where he will start working in a bakery. Later, Mateu Serra, who had an unusual initiative and courage, founded his own bakery, which would be the beginning of the famous Escribà pastry shop: during the Universal Exhibition in Barcelona, Mateu hired the first of their generation, Antonio, who entered the bakery as a pastry chef. Years later, when Serra retired and the bakery had already gained fame thanks to the cakes of Antonio Escribà, he and his wife Josefina Serra took the relief and named the new property Escribà. On the other hand, we are in 1947. Our protagonist Alba has always dreamed of having her own pastry shop, partly thanks to the influence of her mother and grandmother. She works as a cook at the Vidal company but the customers already appreciate her magnificent gift for the pastry making. There are several times when Alba, by chance, will come across the name Escribà: she has to work there. This novel has a main plot, the history of the Escribà patisserie, which will take us through different periods: from the first change when Mateu Serra leaves his legacy to the first of the Escribà, the crisis during the Civil War and a magnificent later period of perfection of techniques. But the novel also has time for love and family issues, which gives added value to the story, as well as the historical context that is vital for the resolution of the story: a Civil War that separates families or a old-fashioned mentality that will become an obstacle for Alba and her goal of being a pastry cook for the mere fact of being a woman. Our protagonist, then, will have to navigate against all these prejudices to achieve her dream. The popular pastry shop has a great history that thanks to the collaboration of Christian Escribà and Silvia Tarrago, we will be able to devour it and to know more about the patisserie. One of those novels that you enjoy from beginning to end and you feel satisfied, just like when you finish tasting that chocolate I was telling you about. Isn’t this the perfect book to give as a present on Saint George’s Day? As I grow older, my perception of things changes; my way to look at life. I guess it’s normal but I’m worried about becoming more and more critical, more demanding and even more pessimistic. I don’t understand many things: injustices, abuses, violence. I’m sure it has always been this way but we just didn’t notice; the news didn’t bring up certain subjects. Moreover, the youth makes you believe that things can change and that it’s not too late to make a difference. Today, I must confess, that I didn’t lose hope but sometimes I look around and it upsets me. I think that evil is ethereal and lives among us. As it happens with Genís Marfà’s book, settled in the Germany of 1932, when Hitler is on the verge of seizing power, the Republic of Weimar agonizes. Berlín is a boiler of emotions and intrigues. In the Barcelona of 1962, under the Franco’s regime, the murder of the young Amelia takes place. A brilliant detective would have to catch the murderer and discover the mystery that links the terrible crime to the German city. Meanwhile, the presence of an enigmatic Baron projects the shadows in every corner of the story. Who is he, this shadow? I would call him “the evil”. 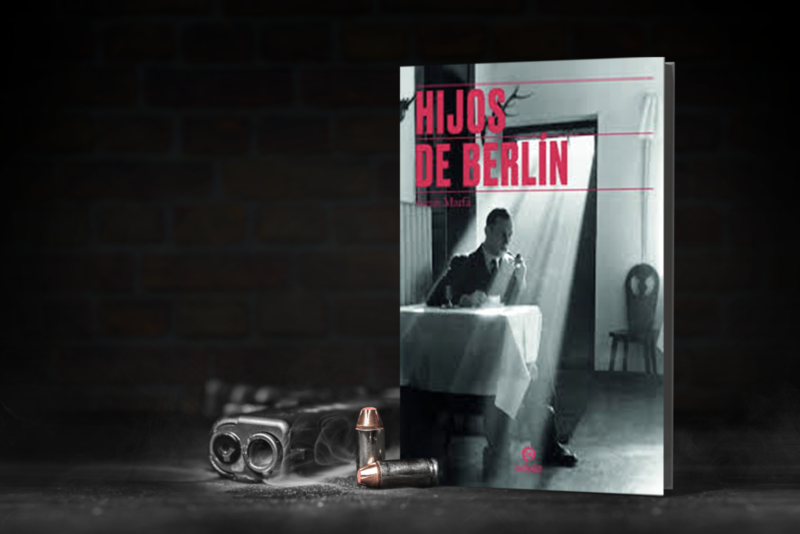 Hijos de Berlín, the first novel by Genís Marfà, published by Adaliz, is a historical thriller with all the necessary ingredients to build a great crime novel, with a social background that seeks to stir consciences and awaken our historical memory. More than a crime novel, a surprising debut set in two convulsive periods of Europe: the Nazi Germany and the last period of the Spanish Dictatorship. Everything starts with a murder will get blood over many characters of the book. A fast-paced plot, with plot twists, with brilliant dialogues and very detailed descriptions. Autobiographical notes where we will recognize spots of the Germany and the Barcelona of that period, that take protagonism in the story. With great characters, social conflicts, armed conflicts, intrigues, depression and despair. Year after year, the same story is repeated; age after age, human beings struggle to make it up for their mistakes but we seem to be condemned to repeat them. Darkness seems to be everywhere, although, perhaps, the shadow is the only place from which hope can germinate. A book that will not leave the readers of the genre indifferent. The job of the teachers is often questioned, and I do believe is one of the most difficult jobs, because not everybody is able to instill something and explain to a group of children, teenagers and adults, that are not always willing to listen. You need to know how to motivate them, delight them, with the aim of teaching them. A complicated task, and I think, very vocational. 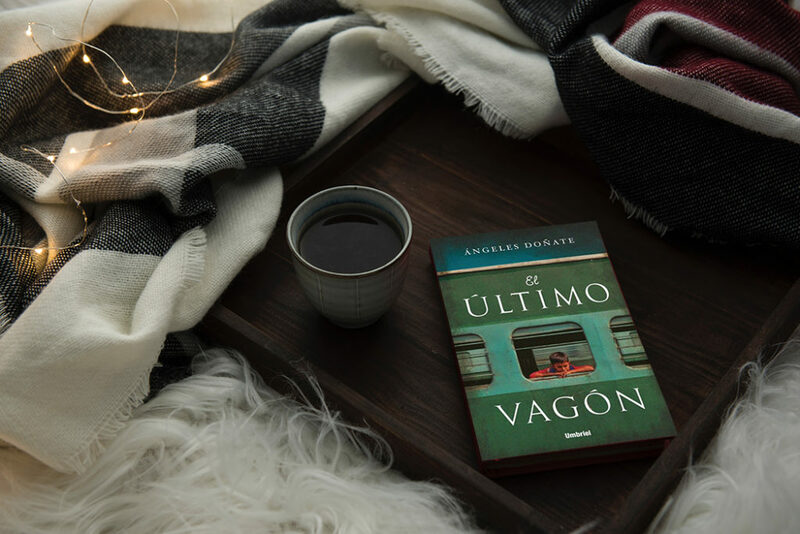 For this reason, the last book by Ángeles Doñate, author of “The winter when we put everything in black and white”, translated into 10 languages, returns with a story that touches our heart: El último vagón (the last wagon). It begins with the real story about the wagon-schools that existed in Mexico while the railway tracks were being constructed, Ángeles tells the story of Ikal, a boy of eleven years old, son of a railway worker and that dreams with being a teacher. He looks up to Chico, counts trains with Tuerto, fancies Valeria and lives with Quetzal, his dog. They are all Ernesto’s pupils in the Malinalli Teneolat wagon-school, during the year that will change their lives. Between fields and old wagons, the students will discover what life is about thanks to the passion of their teacher, but a photo in black and white of all of them, that lays in an abandoned file in the Secretary of Education, will become the worst nightmare of Hugo Valenzuela, a brilliant inspector. The teacher needs to retire, and some politicians believe that the time has come to put an end to an old-fashioned and useless educational model. Hugo is not convinced and decides to pull the strings on a journey that will take him back to his past, and where his future is at stake, with marks that cannot be erased like those by the first love or by a teacher who opened the windows to the world. A fantastic book that touches you, and where you discover a reality. People who fight for what they love, to help others who, due to their circumstances, live like nomads following a railway line, without a place of their own. People who finally find someone who values education and believes that it is a right for everybody: his desire is that those children had the same opportunities as others. I wish there were many “Ernestos” everywhere who knew how to instill love and the desire to fight for others.I hope that this ode to education will be a best-selling book this spring, not only because of what it means, but also because Ángeles has proved once again that her narrative is unique and that goes straight to the reader’s heart. Because of my profession, I read a lot, and I can assure you that many novels are published but there are readings that leave a mark, that I will always remember when and where I read them, and when I think about them I can still feel the taste in my mouth left by those words. It happened to me with A SON by Alejandro Palomas. I fell in love with Guille, his father, the psychologist, and Nazia. I revalued Mary Poppins and I cried, because this story that both kids and adults can read, touched me a lot. We have translated A SON into 18 languages and we keep receiving letters from children from different schools thanking Alejandro for writing this book. Every time I get one, I get these goosebumps, because then they say that young people don’t read, and there are some who not only read but also send letters, like the one you would send to your favorite football player, expressing what this novel have made them feel. This is magic, better than the one Mary Poppins could do. For this reason, I’m proud to announce that on March 19 A SECRET will be published, the second part, although I do not like to put it that way. This time it is the story of NAZIA, Guille’s friend, an immigrant, and due to unclear “problems” her parents go to jail, and as a consequence, Nazia will have to live with Guille and his father, without understanding what her family did wrong. Maria, the psychologist, will have to take care of her and will be again an important piece in this relationship of Guille-Father and the host sister, because Nazia has a secret she only wants to share with her friend/brother. She will discover her feelings, her heart, and her true passion for another character who is not Mary Poppins, even though Guille does not understand it, but THE CINDERELLA. Does it take more magic to find such a special reference, again, in the classic books to talk about what it is like to be an immigrant, what it feels like being alone? We will talk again about family relationships, parents and children in such a tender way that sometimes you have to stop reading, pause and breathe in order to go on. This can only be written by Alejandro Palomas, I do not think that any other author has the ability to write for such a wide audience, with that intensity that hurts, and moreover, that each reader feels differently. An addictive and enjoyable reading, but only a wizard of letters can write so well. 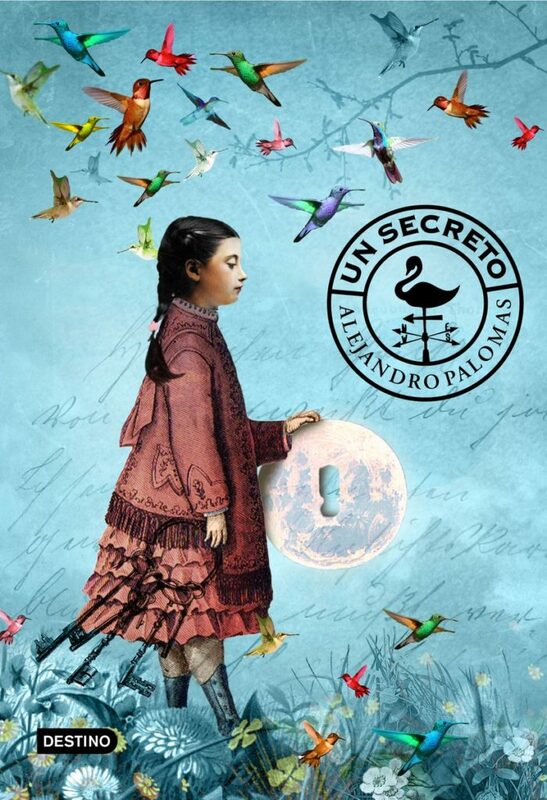 Thank you Alejandro for this new novel that maintains such a high level, that I cannot say that it is better than ONE SON because it is one of my favorite novels, but it does equal it and that it has many things that surpass it, because you have outperformed yourself as a writer. Two books that I will never forget again and that live inside me like a little treasure.